Cam Tennis is the son of Chad and Chrissy Tennis. 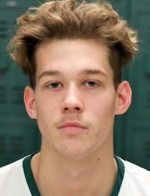 Cam is currently in his senior year of High School and is in his first year as a member of the Hornet Basketball team. In addition to basketball, Cam is also a member of the Hornet Baseball and Soccer teams, and has played club soccer.